What's Microlam or LVL (Laminated Veneer Lumber)? Microlam — correctly spelled "Microllam®," but more on that later — is the brand name for a type of engineered lumber used for heavy structural support. Each piece of this lumber is actually composed of smaller, micro-thin layers of wood that are glued together — or laminated. While costly, Microllam and other LVLs are today's standard for areas of the home that need heavy support without the bulk associated with older construction techniques. Microlam is a common misspelling. It is actually spelled "Microllam®" and is a brand name term that has been owned by Weyerhauser Lumber since 1994. Interestingly, Weyerhauser did own the name "Microlam" for about a year and a half in the late 1990s until they dropped its usage in favor of "Microllam." Much like Milwaukee Tools' brand Sawzall®, commonly used to refer to reciprocating saws, or Southwire's brand Romex® commonly used to refer to plastic-coated electrical cables, Microllam is often used conversationally to refer to all brands of laminated structural support lumber. The generic name for this type of lumber are the initials LVL, meaning "Laminated Veneer Lumber." Much like plywood, thin sheets of wood are sandwiched and bound with super-strong glue. Unlike plywood, Microllam and other LVLs are solid, heavy, and intended to carry loads. If you have an old house and can get in the crawlspace or basement, you will have a good peek at the joists and carrying beams. 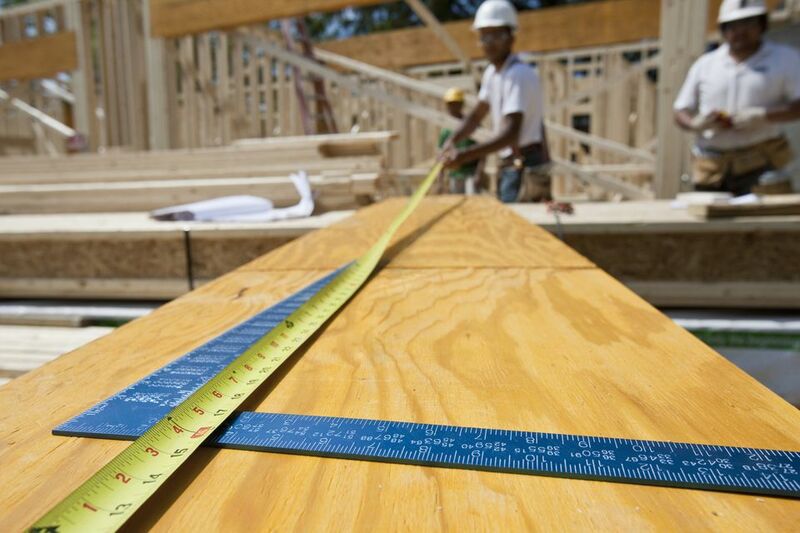 Unless the home has been renovated recently, no doubt you will be viewing sizable joists: two-by-eights or two-by-tens. Carrying beams, as the name infers, carry huge loads and are serious hunks of timber. In the past, size equated with strength. But with newer advancements in lumber processing and lamination, manufacturers have been able to produce lighter and smaller lumber with the same or even greater strength. Without LVL, today's homes would not have cost-efficient open plan kitchens, two-car garages free of center support columns, or extra-wide doorways. LVL makes modern homes possible. Laminated structural lumber is used both horizontally and vertically. Flooring spans in the form of I-beam joists. Wide windows use LVL as headers. Doorway headers, especially for wide ones like french doors. Garage door openings benefit from LVL or Microllam construction because the span is so wide. Running an LVL eliminates the need for a central supporting column for 2 car garages. Carrying beams of all types. Microllam and most other LVL runs high per linear foot because of the high degree of manufacturing that goes into each piece. LVL is always a major part of your materials cost for an addition, room bump-out, or wall elimination (for an open floor plan home). For Microllam brand, one supplier, Albert Tamm, has quoted $8.85 per linear foot for 1 3/4" x 16" LVL and $4.62 for 1 3/4" x 9 1/2" LVL, not including taxes and shipping. Another supplier, Goodrich Lumber, quotes $5.91 for 1 3/4" thick by 11 7/8" wide of Microllam iLevel Trus Joist.